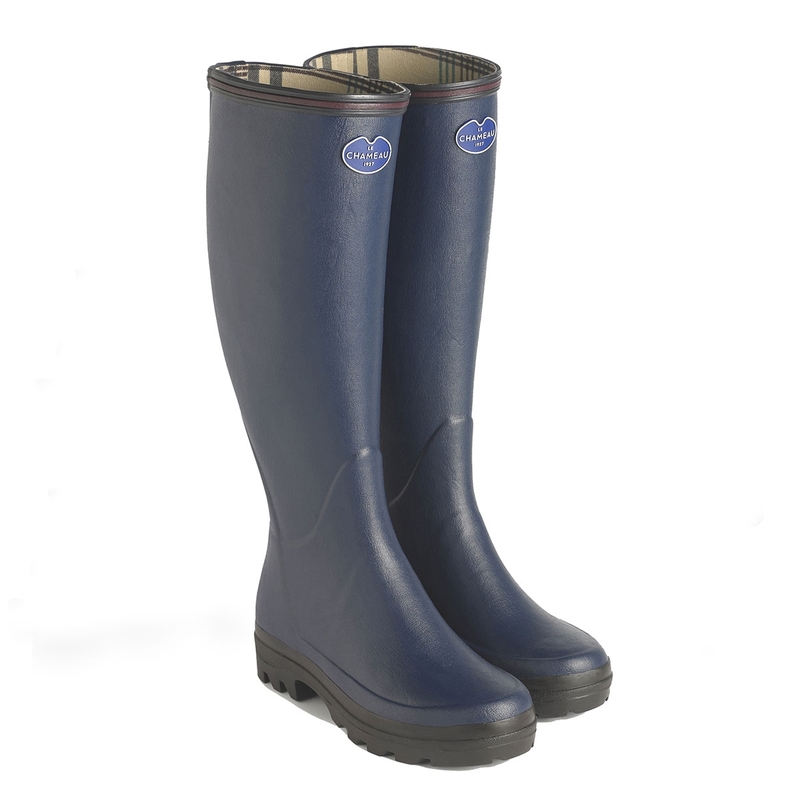 Le Chameau Giverny Wellingtons. Tall country walking rubber boot with contrasting trim for everyday use. Natural rubber upper and hard-wearing polycotton Jersey lining. Shock absorbing dual density Cross sole with all-terrain grip.